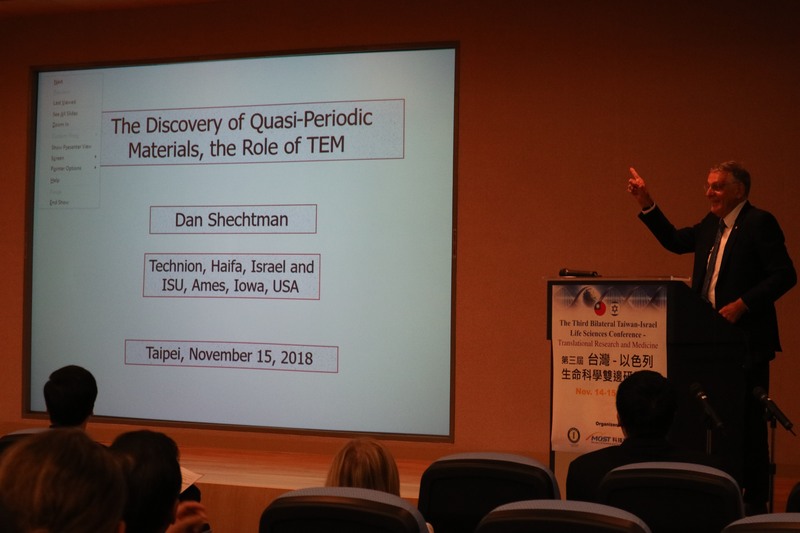 Dr.Dan Shechtman visited Taiwan in mid-November to share his endeavors in promoting the development of startup ecosystem in Israel. Dr. Shechtman was awarded the 2011 Nobel Prize in Chemistry for the discovery of quasicrystals. His advice to the young people in Taiwan is that they should not fear failure even though failure is one of the cultural constraints for Taiwanese, adding that the young scientists should go ahead and get involved in startups. Israel has become a high-tech startup powerhouse that attracts major players from different parts of the world and Dr. Shechtman believes with the history of technology innovation Taiwan has, it will become a launch site for startups if young people are not afraid to try and make new discoveries.